Americans went shopping for homes in August. 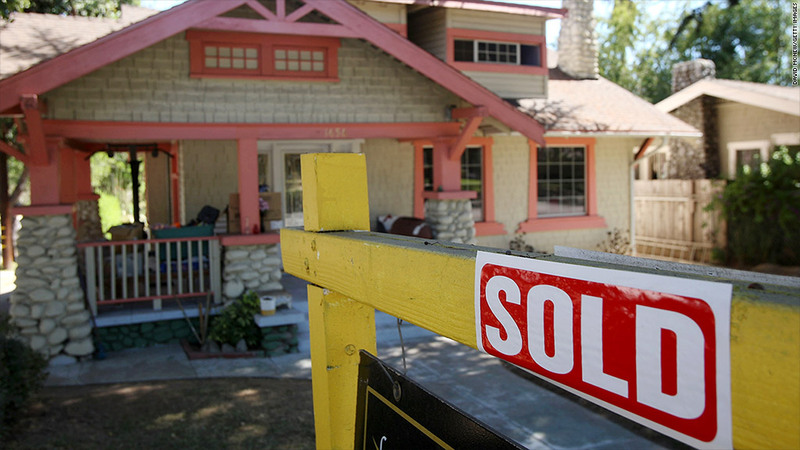 New home sales for single families totaled 552,000 homes last month. That's the best monthly figure since February 2008 and an encouraging sign of the housing market's momentum. It was nearly a 6% increase from July, which was also revised up, according to the Census Bureau. Still, the figure is a far cry from the historic average: the average monthly number of new home sales over the last 30 years is 706,000 according to Peter Boockvar, chief market strategist at the Lindsey Group. "Today's figure is encouraging but we've got a LONG way to go," Boockvar wrote in a note to clients. Some economists believe there could be an uptick in home buying as prospective home owners try to lock in a low mortgage rate before the Federal Reserve raises interest rates. The average rate on a 30-year fixed mortgage in August was 3.9%, very low on a historical basis. A decade ago the rate was about 5.8% and 20 years ago it was 7.8%. When the Fed raises rates, the expectation is that rates on mortgages will gradually move up too. The central bank is now expected to raise rates in either October or December.